Kevin Hart, aged 39 years old, the actor weighs 64 kg (141 lbs) and has a height of 5’4” (163 cm). He truly pushes himself with his workouts and the results are definitely showing in having body measurements of 44-15-35. 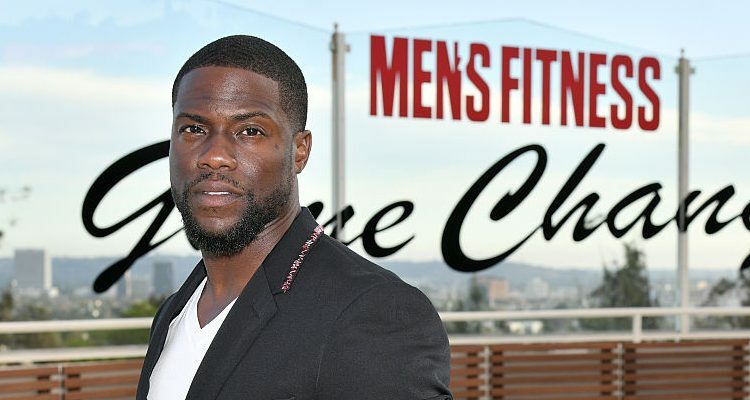 Kevin Hart takes health and fitness just as seriously as his Jumanji 2 co-star Dwayne Johnson. The movie released last year. Of late Kevin Hart has bulked up a lot and can be seen flaunting those big biceps. There is no denying that Kevin Hart is fit. The comedian and Jumanji actor has teamed up with Nike to organize runs all over the U.S. as part of his latest adventure of promoting the Nike app for the Apple watch. In the promo we see a heavily bearded Hart running around a canyon. In another Instagram post, the comedian is showing off his modeling skills shirtless as he was shooting for Tommy John underwear. You can really see how fit Hart is with defined abs and upper body. Although Hart’s workout routine is intense, it isn’t very complicated as it mainly involves an upper body workout and plenty of cardio. Hart works alongside trainer Ron “Boss” Everline, who is quite old school when it comes to his training tactics. His workouts typically do not involve Bosu balls squats, Olympic lifts, or any fancy machines. Furthermore, his workouts won’t pose a risk to the individual, and they can easily be completed in the comfort of your own home. The basic upper body workout that Hart completes consists of the bench press, push-ups, rows, curls, and dips. By grouping these exercises and completing them in a circuit-style, Hart is able to achieve his results. Furthermore, this workout will get your heart pumping, achieve fat loss, and promote muscle growth in a shorter amount of time. Hart likes to change up his workouts, which consist of running on a treadmill, outdoor workouts, and gym workouts. But as important working out is, Hart is also focused on healthy eating, too. In an interview with People, Hart explained: “I’m a healthy eater – brown rice, baked chicken, vegetables, salads. Although Hart believes in the importance of a cheat meal, he also suggests that the more closely you adhere to healthy eating, the less important cheat meals are to you as you become accustomed to just eating healthy. For Hart, the more you change yourself, the more you realize you don’t want to let all that work go to waste; and so, cheat meals slowly become a thing of the past. As you can see, Kevin Hart isn’t just a funny guy; he’s also very serious, especially when it comes to his workouts and diet. That dedication is what helped Hart become the fittest he has ever been.